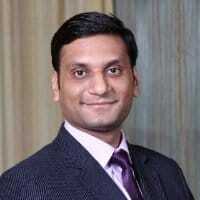 Nitish Narain is currently working as a senior analyst with MicroSave. He is a financial inclusion consultant with extensive experience gained through projects with banks, microfinance institutions, community owned organisations and digital finance service providers in India, Kenya and the Philippines. He has implemented projects involving strategic business planning, market research, product development, internal audit and control, delinquency management, agent network assessments, evaluation of implementation of EBT programmes, channel satisfaction surveys and training. In his capacity as Area Manager at SKS Microfinance Ltd, he was responsible for the management of a microfinance loan portfolio of 58,000 clients and USD 10 million. Nitish oversaw operations covering 17 branches in five districts of western Madhya Pradesh maintaining portfolio quality, productivity/profitability and ensuring risk mitigation and achieving customer satisfaction. Hecompleted his Post Graduate Diploma in Forestry Management from Indian Institute of Forest Management, Bhopal with specialization in Development Management.His areas of interest include microfinance, digital financial services for financial inclusion.